As I walked into the Pandora Lounge in Las Vegas, I saw a mild-mannered mix of audience loungers distributed throughout the place while the band was on break. Some were playing Wii bowling, while waiting for their second of three sets from local talents the "Franks & Deans". An homage to earlier lounge greats, the band calls themselves the "Punk Rock Rat Pack", and rightly so. 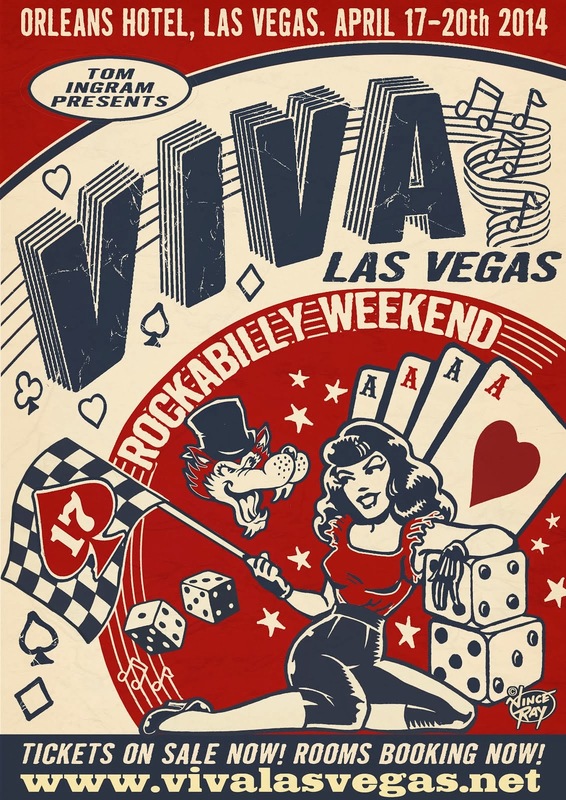 The band are made up of Rob DeTie (bass, singer, band leader), PIP (drums), Tyler Newton (rhythm guitar) and eldest member still in his early 30's and married, Hoss (guitar,vocals) (Hard Rock Las Vegas, Reverend Horton Heat crew). A feeling of friends and family ready for fun was in the air. Hoss took the mic and cued up some professional karaoke with Sinatra, Lawford, Sammy Davis Jr. songs to melt our hearts. Shocked audience members looked at the bearded tattooed crooner in disbelief as he hit triple octave notes where most could not. You see, this is a choir boy, as is fellow band mate and singer Rob DeTie. DeTie's choir director was in fact one of the audience members. The final set was a romp through all our favorite oldies including "New York New York", but played in punk upbeat or ska/reggae style. One break in tradition for the band came when Hoss said he would play a song that was written by a comedic friend of his. It's not a Rat Pack cover as they like to do, but an original. He said "We should have warned you, the later set gets a little blue". The audience laugh cried at the lyrics and his comedic timing and even sang along to "all we need is a ten dollar whore to get us up on our feet and through the door". I'm just regretful of how that song is stuck in my head. Really stuck. I've been singing it all week. Especially the part about her teeth hitting the floor. I digress. The vibe and talent these guys are bringing is authentic. The rasp and off-key quality of the band with Singer DeTie is reminiscent of Green Day, while Singer Hoss backs up the band with the buttery Michael Buble quality. At the same time the band is bringing out and dusting off America's favorite lounge and love songs while infusing them with that punk giddy up. Oh, and you know how the Rat Pack was known for that "anything can happen" stage style? I saw a friend of the band swing a woman around on the dance floor while she remained in her chair. He just couldn't take no for an answer. I also saw an old man wander right through the middle of the band's stage mid-set, mid-song (captured in "Candy Man" video below). There were so many laughs that night that as I left I kicked myself for not having gone out to see the Frank's & Dean's sooner. If you love music and fun, you will be in the right place wherever the band may play. Check them out, for a good time. Hoss Singing "Live Until I Die". Wow is all I can really say here. Franks & Deans punk rock "Candy Man Can"